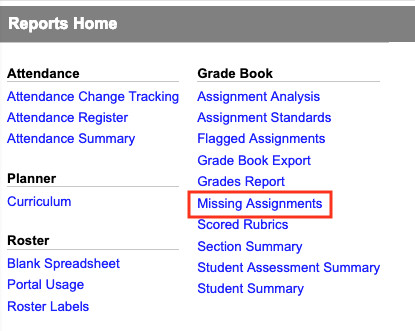 There are multiple ways for teachers to access missing assignments for their students. 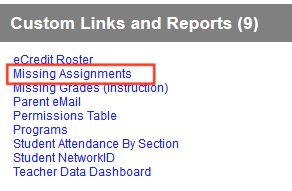 To access the missing assignments for a specific class there are a few options; via the grade book or a canned report (created by IC, option 1 & 2 below). Or they can retrieve missing assignments for all the classes a student attends (St Vrain Custom Report, option 3 below). In the grade book teachers can filter down to show just students with missing assignment, assignments that students have missing or both. At the top of the grade book click on Filter. 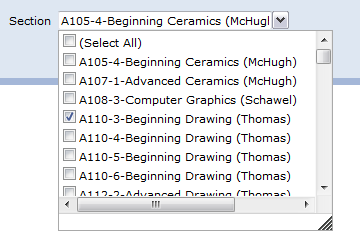 This option allows for many ways to filter assignments, missing ones, just being one option. 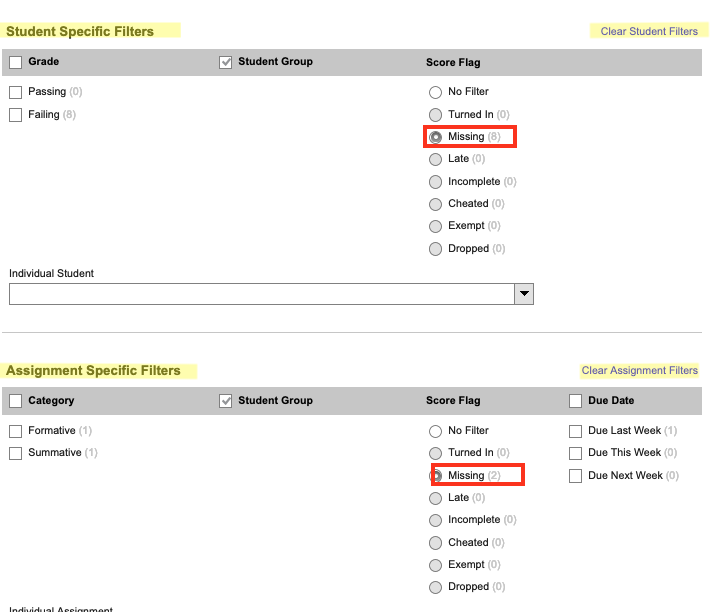 Choose the option under Student Filter and/or Assignment Filter for Missing. Click Apply in the lower right corner. When the grade book is filtered the icon will have a blue circle in it. To remove filters click on it and then Clear Student/Assignment Filters. Click on Apply. 2. Another option is to Generate a Missing Assignments Report. On the Index go to the bottom and click on ‘Reports’. 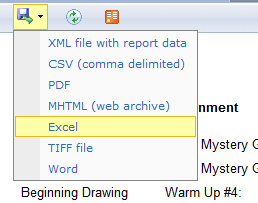 This will give you the option to all available ‘canned’ IC Reports. 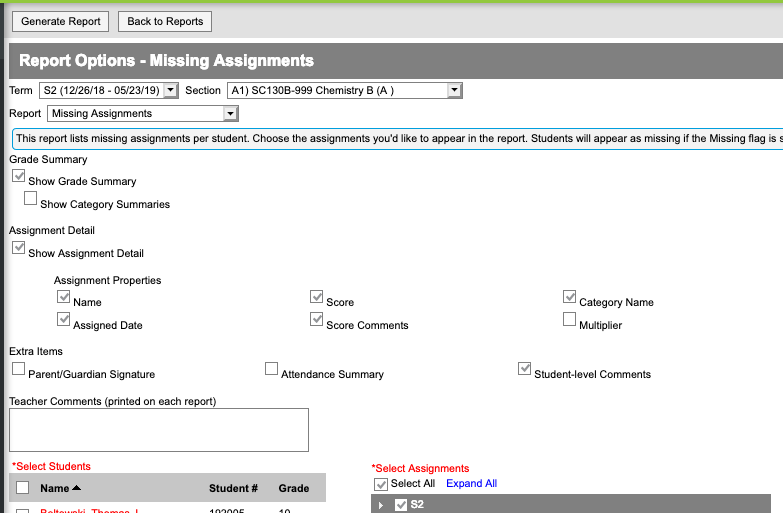 (those created by IC vs Custom Reports created by St Vrain, the next option down) This report lists missing assignments per student. Choose the assignments you’d like to appear in the report. Students will appear as missing if the Missing flag is selected or if the due date has passed. 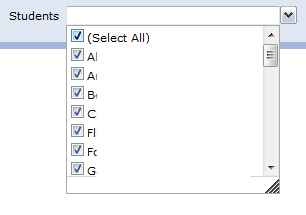 Select Missing Assignments Choose options to show on report. There are two ways to get back to Reports. 3. 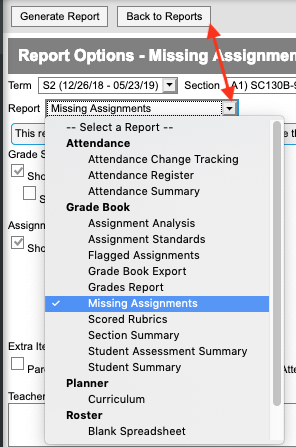 The final option for Missing Assignments is to find ALL of the assignments a student has missing in all of their classes, not just the one the teacher teaches. This is under Custom Links and Reports at the bottom of the Index. There is a list of Custom Reports created for Teachers. Select the Missing Assignments report. There will be an authentication dialogue box. Use the same credentials as when logging in to IC. Once in Select All Grade, any specific section(s), and any specific or all students. Click on View Report to the right. Once report is generated choose the Report style to be able to view then entire report.